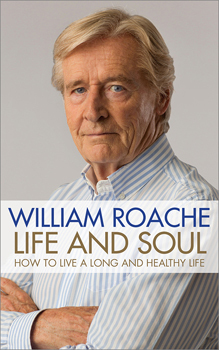 In his first memoir, Soul on the Street, Britain's most beloved actor William Roache shared his spiritual beliefs and experiences with the public for the first time. These included his ability to see spirits, his interest in astrology and druid philosophy, and his belief in reincarnation, past lives, and the afterlife. His first memoir was an open letter to his fans, who had often written to him not knowing where else to turn for information regarding life's deepest questions. Now, in Life and Soul, William shares his most recent life experiences and the wisdom gained through these. Recent years have seen William live through extremely challenging events, such as the death of his wife and of a close friend, and a harrowing court case for alleged abuse. This book is a searingly honest account of these events, but most importantly, it is a unique insight into how William was able to live through these challenges with strength, hope, and dignity. William will teach readers about the power of gratitude, forgiveness, kindness, and positive thinking. He shares the lifestyle habits that keep him healthy at the age of 85, and about the importance of taking responsibility for your health, your wealth, and your happiness. William hopes that the lessons he learned in during these recent years of life will help many others on their journey.